There are many different definitions of sustainable tourism (or eco-tourism) that have been developed over recent years. However, it is still mainly about making those simple choices which help lessen your negative impact on the surrounding environment. Below you will find all of the information you need about how to book eco-friendly flights, tips on choosing eco-friendly accommodation, the best eco-friendly places to visit in Koh Samui and maybe some things you should avoid. Booking direct flights. It’s the take-offs and landings that produce the most carbon emission. So fly direct when you can. Check the carbon offset of your flights. Trying to use an airline which produces lower emissions is a great way to help lighten your carbon footprint before you begin your journey. You can check the airline company’s website for this information or click the following link to calculate your Flight carbon footprint. Individuals need to make radical changes to the way they travel, book accommodation and conserve energy in order to keep Koh Samui an environmentally sustainable holiday destination for the future. An eco-friendly and sustainable traveller must consider many variables when choosing accommodation that is committed to responsible tourism. 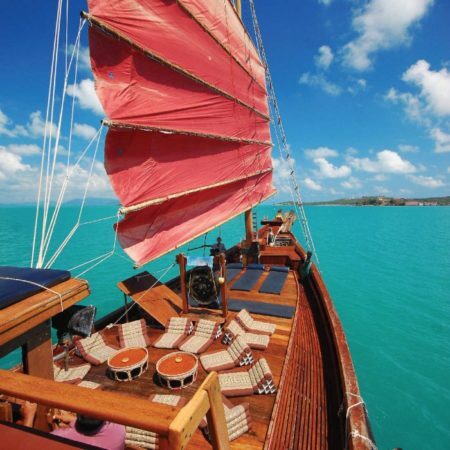 Below is a checklist of things to take into consideration when searching for responsible eco-friendly places to stay in Koh Samui. Is the accommodation employing local staff and using locally sourced products? The more an accommodation hires from the surrounding community and uses locally sourced products, the more contribution this business is making towards improving the local economy. Are the accommodation staff foreigners or local people? Do they use local food suppliers and help support the local economy? Do they have a sustainable water source (and do they conserve water in a sustainable way)? 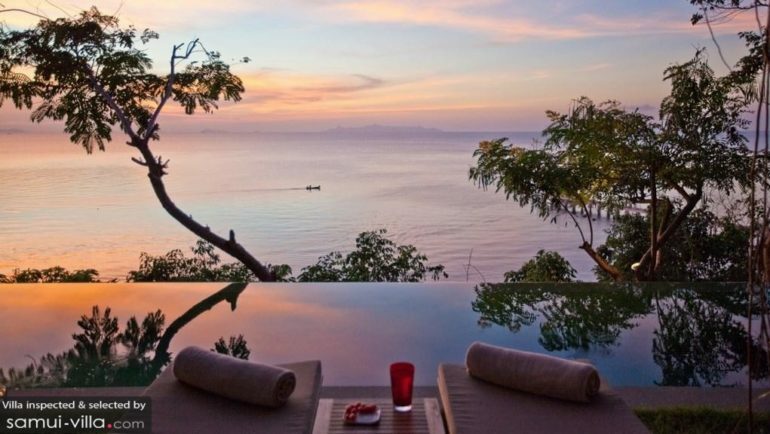 Most hotels and villas in Koh Samui utilize notification cards in rooms, where you will be able to notify the staff not to clean towels or linens on a daily basis if it’s not needed. Are they collecting rainwater when they can? Does the water come from a renewable natural resource? Do they use low-flow toilets and showers to help reduce water usage? Does the accommodation utilize renewable natural resources for energy? Accommodation that utilizes alternative energy sources such as solar or wind power is making a solid effort to engage in sustainable tourism. Does the accommodation try it’s best to conserve energy or use any other natural methods for producing energy? Does the accommodation promote recycling? An eco-friendly traveller always tries to recycle as much as possible — so you want your accommodation to provide an easy way for you to do so. Does your accommodation have a recycling plan? Is the waste from laundry, kitchens and other working areas being discarded in the most eco-friendly way? What else does your accommodation do to assist the surrounding local community and help preserve the environment? Choosing the best eco-friendly place to stay can also be determined by the charitable causes which an accommodation is involved with. What charitable organizations and causes is the accommodation involved with? Do they help contribute to the overall sustainability of the local community that surrounds it? Do you know? Starting in 2018, when you stay at our villas in Samui, we plant a tree for you! So far, we have planted over 2,000 trees! The menu here features a variety of hearty choices for health-conscious eaters. They offer a variety of vegetarian, vegan, and gluten-free meals in addition to more traditional options. All of their ingredients are organically grown and locally sourced. Many of them come straight from their very own garden! Yogi Cafe offers healthy, tasty and delicious Vegan wholefood. Most of their dishes are Raw and all Vegan. Their mission is to bring awareness of the benefits of Raw and Vegan Food by offering delicious food, smoothies and juices at their restaurant. 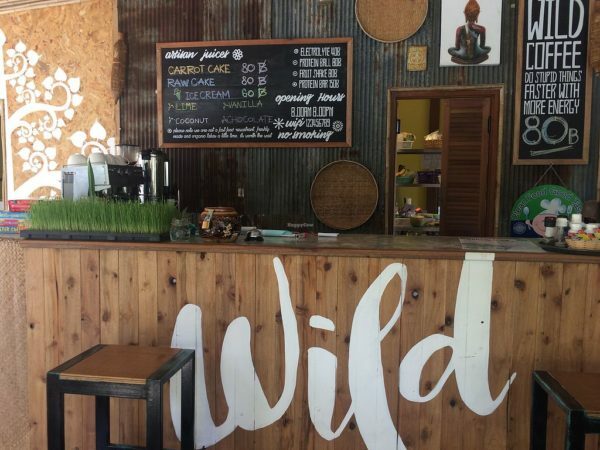 Wild Tribe cafe offers cleansing programs which incorporate juices, superfood smoothies and raw food, allowing your body to detoxify, while providing all nourishment and nutrition needed for an active daily life. They also share their expert knowledge at open workshops and classes, devoting a huge part of their effort to well-being education. A small and friendly vegan food cafe right on the main street in Lamai. Here they use only locally sourced ingredients to create delicious Thai and western style dishes including fresh smoothies, juices, raw cakes and vegan cheese. Sightseeing and getting around. Walking or riding a bicycle is the most environmentally friendly methods to get around during your visit. But sometimes you will need to make use of a motorbike or car to get you where you need to go. Just try to rent an electric scooter or hybrid car which both use less fuel and produces less carbon emission. Make sure you only support responsible wildlife foundations and animal sanctuaries. There are plenty of opportunities in Koh Samui to visit wildlife sanctuaries and have your photo taken with different exotic animals. 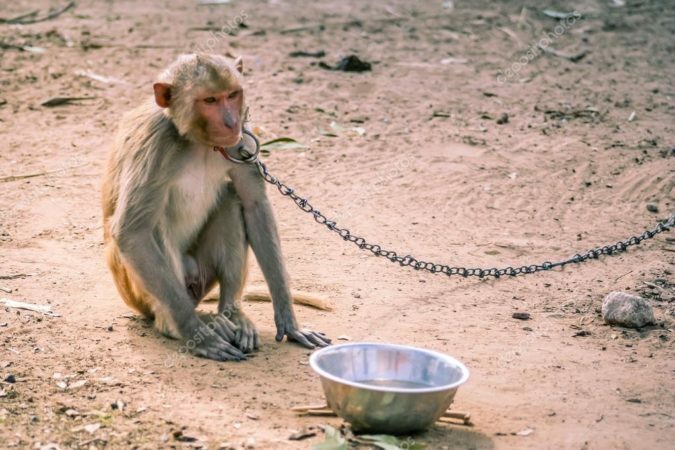 But make sure you do some research on the sanctuary before you visit – to make sure it treats their animals fairly. 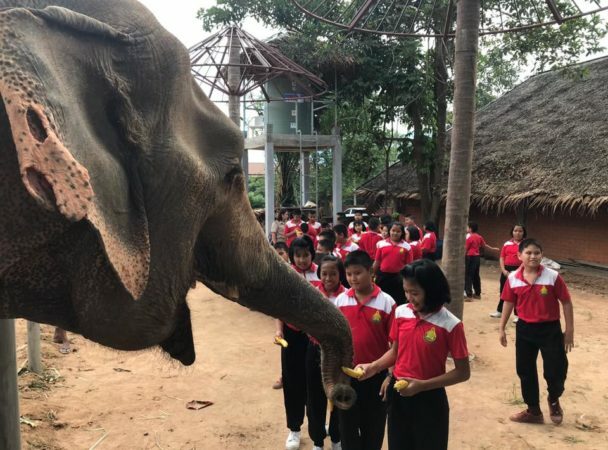 And to make sure they are actually making suitable contributions to help sustain the local environment where those animals come from (such as elephant trekking tours, tiger zoos, monkey sanctuaries, etc). Always book Eco-friendly tours and guides. 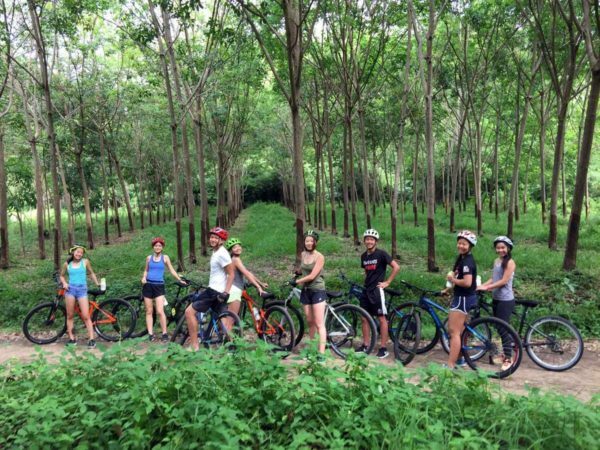 Be sure to choose local tour operators which are truly Eco-friendly and do not harm the surrounding environment during their tours. Try your best to research the actual tour group before you make a booking to see if they are really as eco-friendly and sustainable as they claim to be. Volunteer with local conservation programs and learning groups. One of the most sustainable things you can do when visiting Koh Samui is volunteer some of your time with local environment conservation initiatives like the Samui Elephant Sanctuary, Samui Dive Tribe and Pariah Dog (street-dog) Foundation. Buy local and help support the local economy. The minimum wage for local workers is very low compared to the high cost of living in a beautiful place like Koh Samui. 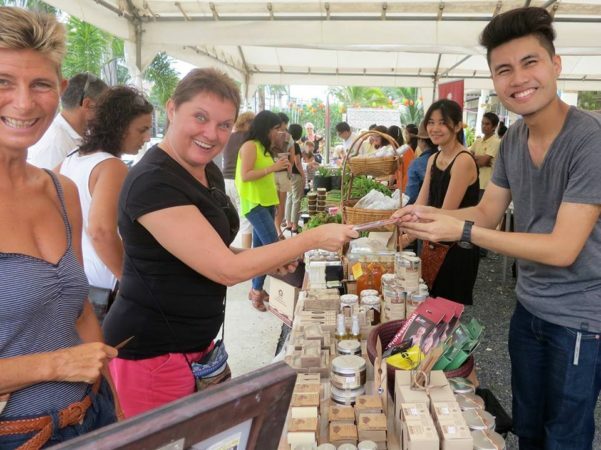 So try making an effort to shop at local markets, with local people, to buy locally made products like souvenirs — rather than those that have been imported. This is a great way to help support the local community so they can have a sustainable future. Eco Koh Tao’s aim is for the preservation and conservation of marine environments through education, awareness and action. This organization provides educational expertise in marine ecology & ecosystems. 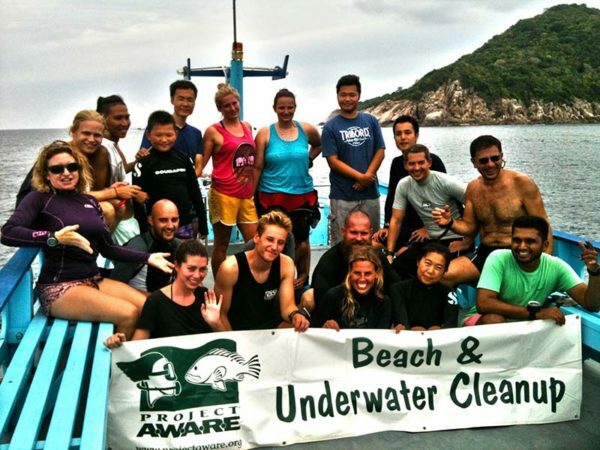 Every 2 weeks they conduct a beach and dive site clean-up around Koh Tao island just off the coast of Koh Samui. Koh Samui’s first and only true ethical elephant sanctuary where elephants bathe and play together in a natural habitat. Observe how elephants rehabilitate into forest life after decades of abuse during a during a day at Samui Elephant Sanctuary. Samui Dive Tribe is involved with numerous conservation projects around the island including shark tagging, reef construction and ecological monitoring. Pariah Dog does a great job with the local street-dogs. Their mission is to rescue, rehabilitate and re-home as many of these homeless dogs as possible. Visitors are always welcome to volunteer. Samui Clean is a volunteer group dedicated to cleaning up Koh Samui. Every week they organize groups of volunteers to clean up different beaches around the island. Refuse unnecessary plastic packaging. Everyday packaging such as plastic bags and drinking straws can cause major problems for the natural tropical environment of Koh Samui. Try to stay aware of your plastic consumption when buying things and do your best to reuse whatever plastic materials you may already have. Make sure you put your rubbish in the bin. You may not always find a rubbish bin or designated place to leave your rubbish when touring around different areas in Koh Samui. So if you can’t find a bin nearby, take your rubbish with you and discard it properly when you get the opportunity to do so. Don’t pay to have your photo taken with unlicensed animal touts on the street. It’s common to see locals in Koh Samui charging money to have your photo taken with exotic animals such as monkeys, rare birds or elephants. Whenever you pay unlicensed animal keepers to take a photo, you are helping support the continued exploitation of wild animals for tourism profit. If you want to take a photo with an exotic animal, make sure you do it with a responsible eco-friendly organization. Don’t disrespect local traditions and customs. An eco-friendly traveller should always be aware of the local customs and traditions where they visit. The population of Koh Samui is predominantly Buddhist, so educate yourself on how to act accordingly when dealing with local Buddhist people and don’t forget to dress conservatively when visiting sacred Buddhist temples around the island. Being a responsible eco-friendly traveller ultimately depends on the decisions you make while travelling. Try to make choices and travel plans that help conserve the area you are visiting in order to sustain the well-being of both the local people of Koh Samui and their environment.